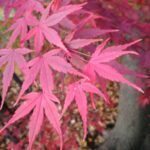 Japanese maples have a well-deserved place in the hearts of many gardeners. 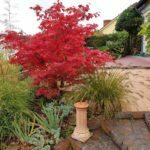 With beautiful summer and fall foliage, cold hardy roots, and often a compact, manageable shape, they are the ideal specimen tree. 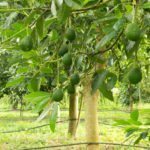 They are often bought as saplings, but it’s also possible to grow them yourself from seed. Keep reading to learn more about how to germinate Japanese maple seed. 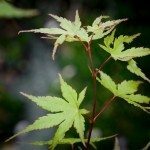 Can you grow Japanese maples from seed? Yes, you can. But can you grow any variety of Japanese maple from seed? That’s a very different question. Most of the stunning Japanese maple varieties that you can buy in the nursery are actually grafted, meaning the seeds they produce won’t grow into the same tree. Much like planting an apple seed from an apple will likely result in a crabapple tree, planting a seed from a Japanese maple will probably result in a generic Japanese maple tree. It will still be a Japanese maple, and it may still have red summer foliage, but chances are it won’t be quite as remarkable as its parent. So is growing Japanese maples from seed a lost cause? Not at all! Japanese maples are great trees, and they reliably turn beautiful bright colors in the fall. And since you never know quite what you’re going to get, you might stumble across a really beautiful specimen. Japanese maple seeds are ripe in the fall. This is the time to collect them – when they’re brown and dry and falling from the trees. You can plant both seeds that have fallen to the ground and seeds you’ve picked from the tree. When planting Japanese maple seeds, it’s important to pretreat them before sowing them in the ground. If you plan on planting your seeds outdoors in the spring, place them in a paper bag and store them in a cool, dark place through the winter. If you plan on starting them indoors in a pot, you can skip the winter storage and begin treating the seeds right away. First, break off the wings of the seeds. Next, fill a container with water that’s very warm but not too hot to put your hand in it, and soak your seeds for 24 hours. Then mix the seeds in a small amount of potting soil and put it all in a sealable plastic bag. Poke a couple holes in the bag for ventilation, and put it in your refrigerator for 90 days to stratify. Once the 90 days are up, you can plant the seeds in a container or directly in the ground. If you live somewhere with cold winters, you can skip the fridge and simply sow your seeds outdoors after they soak. The cold of winter will stratify the seeds just as well.